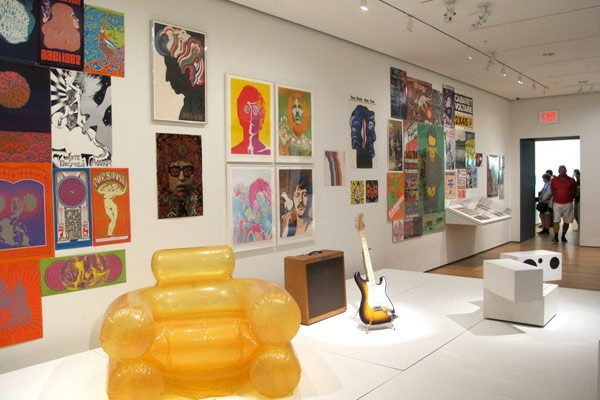 The Kravis Design Center has objects on loan to several exhibitions. Scroll down to see all current, upcoming, and past exhibitions including objects from the Kravis Collection. The Indianapolis Museum of Art: Contemporary Design Gallery. 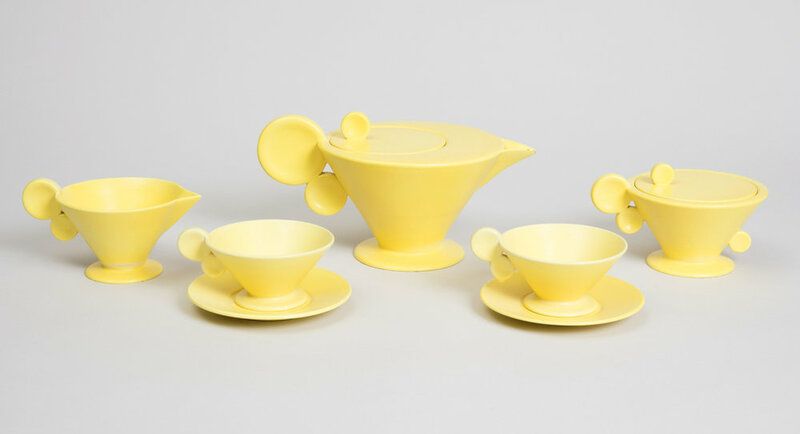 Thirty-four objects from the Kravis collection have been part of the IMA’s installation of design after 1980 since its opening in 2013, the largest permanent museum gallery of design in the United States. The loan includes eleven key Apple products. Ongoing. Installation view of the Contemporary Design Gallery. Courtesy of the Indianapolis Museum of Art. Camera Classics, Oklahoma State University Museum, February 2018 – July 2018. The Cult of the Machine, de Young Museum, Fine Arts Museums of San Francisco, March 2018 – August 2018. 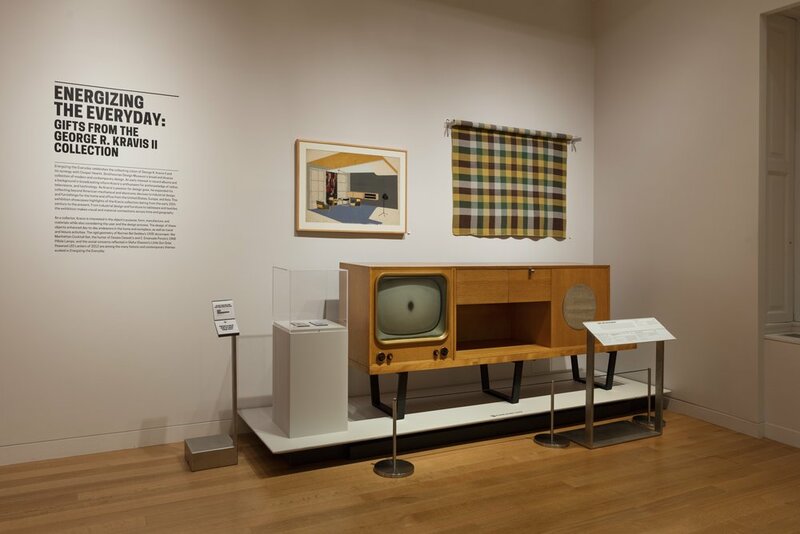 Serious Play: Design in Mid-Century America, Milwaukee Art Museum and the Denver Art Museum, September 2018 – January 2020. The Cooper Hewitt, Smithsonian Design Museum: The Jazz Age: American Style in the 1920s included 26 objects from the Kravis Design Center. This multi-media experience of interior design, industrial design, decorative art, jewelry, fashion, and architecture defined the American spirit of the time. The exhibition traveled and was on view April 7, 2017 - January 14, 2018 at Cooper Hewitt, Smithsonian Design Museum and Cleveland Museum of Art . Stewart Program for Modern Design: Partners in Design: Alfred H. Barr Jr. and Philip Johnson included five objects from the Kravis Design Center. The exhibition traveled and was on view April 18, 2016 - December 9, 2017 at Montreal Museum of Fine Arts, Davis Museum at Wellesley College, Kunsthalle Bielefeld, Germany and the Grey Art Gallery at New York University. The OSU Museum of Art: Oklahoma and Beyond: Selections from the George R. Kravis II Collection looked at private art collecting through history with more than 40 pieces from the Kravis Design Center. Presented February 28–June 21, 2017. Museum of Modern Art: How Should We Live: Propositions for the Modern Interior. An Ecko radio and Russell Wright aluminum bowl from the Kravis collection were included in this exhibition which explored the modern interior from the 1920s through the 1950s, presented May, 2016–April 23, 2017. 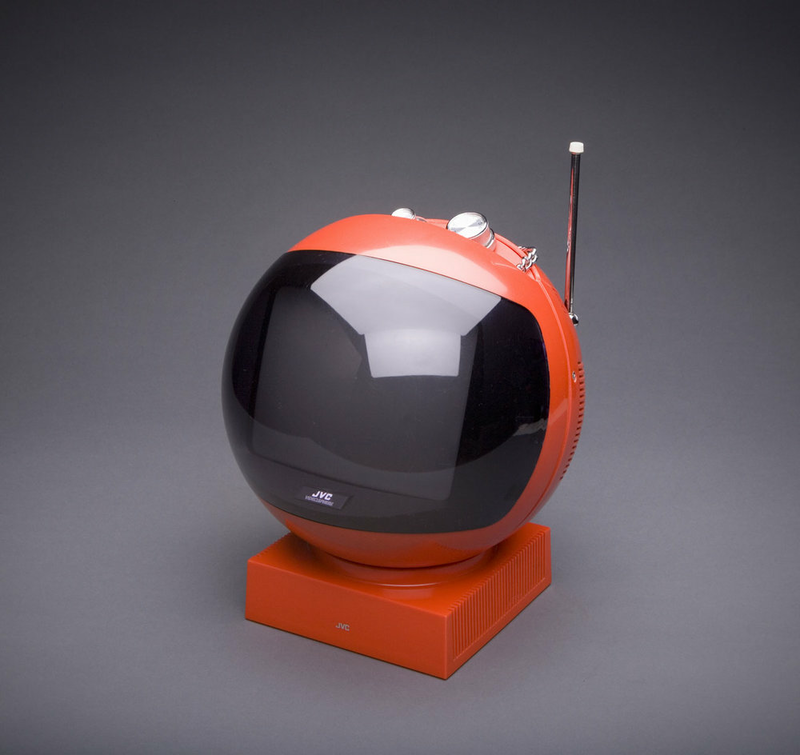 The Cooper Hewitt, Smithsonian Design Museum: Energizing the Everyday: Gifts from the George R. Kravis II Collection. Kravis gifts were the focus of a special exhibition of the museum’s permanent collection on the second floor, presented April 28, 2016–March 12, 2017. Photo courtesy of Cooper Hewitt, Smithsonian Design Museum. Museum of Modern Art: Making Music Modern: Design for Ear and Eye. Two Ekco radios from the Kravis collection were part of the exhibition, presented November 15, 2014–January 17, 2016. Museum of the City of New York: Norman Bel Geddes: I Have Seen the Future. The Patriot radio was lent for this retrospective exhibition. October 16, 2013–February 10, 2014. Photo by Shane Culpepper, Tulsa, OK.
Cooper Hewitt, Smithsonian Design Museum. Stamps of Approval. 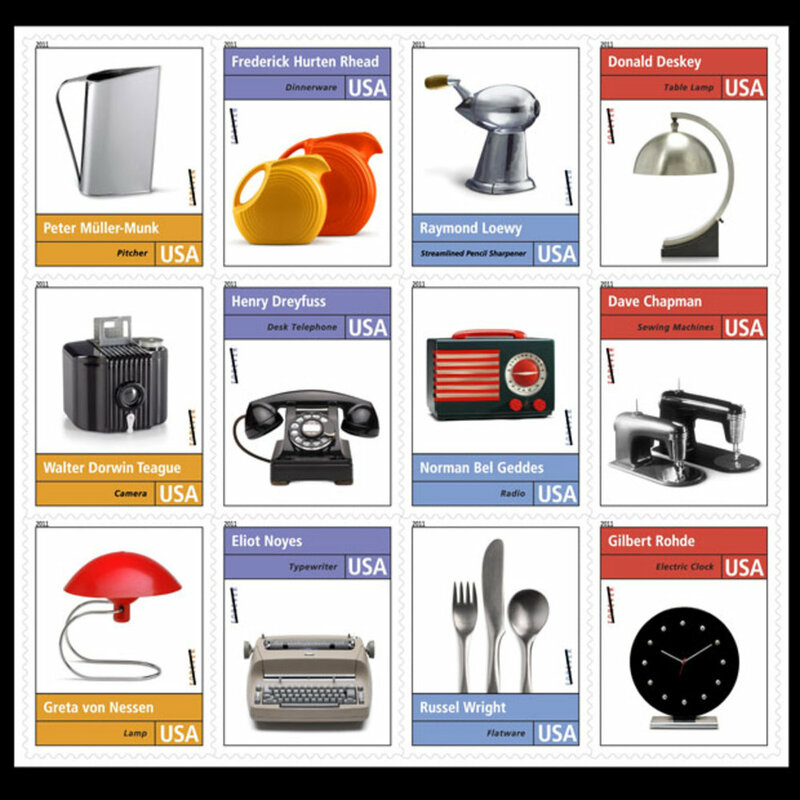 The exhibition celebrated the issue of a new U.S. stamp to commemorate the American industrial designer. August 12 to September 25, 2011; and at the Smithsonian Castle, Washington, DC, November 15, 2011–April 29, 2012. Philbrook Museum, Tulsa, Oklahoma: Better Living by Design. Selections from the Kravis design collection were presented 2009–10. New York architect Wendy Joseph designed the installation.